Mike & I have been back in Sheffield for a few days now but my sleep is still all out of whack. As wise as it may have been to try to stay awake at least a little longer that first morning it just couldn’t be done. I can’t even begin to tell you how unbelievably comfy cozy your plain ol’ bed can feel after a long day of security/custom check points, cramped airplane seats with unmovable arm rests, and running up and down airport terminals with heavy luggage in tow. It’s truly magical, I tell ya. 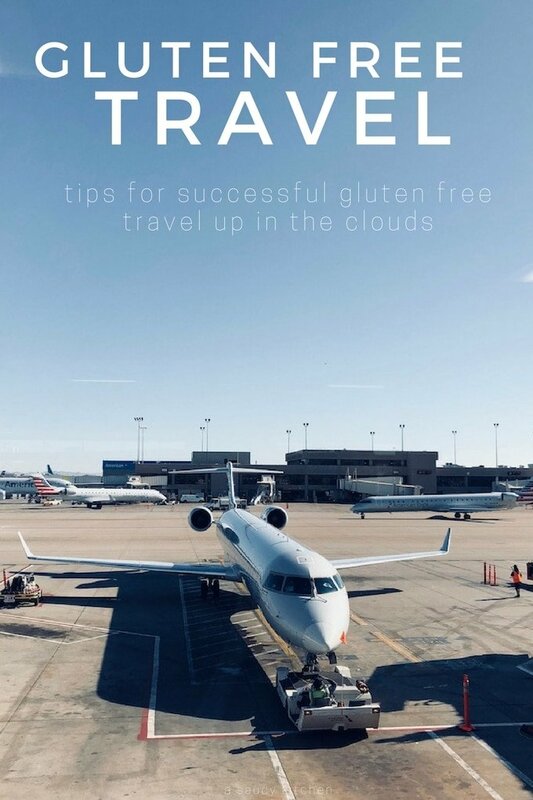 Coming off the back of our most recent trip I thought it might be a good time to share a few tips for all the gluten free air travel. Travelling can be tricky under the best conditions. Travelling with food allergies and health issues is a whole other beast. While gluten free options are without a doubt becoming more mainstream in day to day life, it’s not always something you can count on finding easily in airport restaurants and shops. Not to mention, airports are notorious for charging outrageous prices for very little in return. Maybe I’m cheap, but $5 for an individual sized bag of popcorn is bananas. So here are a few tips for the next time you fly. If you’re flying long-haul international flights there’s chance your airline might provide a free meal en route. Make sure when you book your flight you let the airline know that you need a gluten free meal. I usually end up booking on-line and then calling the airline once my reservation is made to ask about gluten free options. I also highly recommend calling again about 24-48 hours before the flight to double check that your gluten free meal is still recorded. Last year I ordered a gluten free meal for Mike when I reserved our tickets and they still ran out before he got one. Airlines have very limited numbers of gluten free meals available and once they run on a plane there’s nothing they can do to get you a meal. So just to be on the safe side – call again. If you’re going to be spending a lot of time in the airport then it might also be a good idea to look gluten free options before you travel. A quick google search of: ‘airport name + gluten free’ will usually bring up a few options informing you of what stores/restaurants might be able to cater to your needs. On short flights you can probably get away with packing smaller snack items like chips, fruit, nuts, energy bars, etc. For longer haul trip though, you may for sure want to pack something a little more substantial to get you through your flight. The night before we fly I like to cook frozen pizzas, let them cool down, and then cut them up and wrap them up for our flight. It’s easy, portable and a hell of a lot better than the gluten free meals we usually get from the airline. I also make sure to pack sandwiches too as our typical travel time from Manchester to Arizona is about 17 hours long with layover. The more packed, the better. If you’re going over seas there’s a very good chance you want be allowed to bring meats. You can still pack it for eating on the plane but you will need to either finish it before landing or you’ll have to throw it out once you go through customs. Be careful when packing non solid food items (hummus, peanut butter, drinks). You’ll need to make sure that your containers carry 3.4 oz\100 ml or less and need to fit comfortably inside one quart sized ziplock bag. Even if you’re careful and do everything right there’s always a possibility that TSA agents may go over some of your food items with a little extra scrutiny. My sun dried tomato dip puzzled a few agents going through Manchester airport, but in the end I was still able to bring it through after they cleared it again. It’s not usually necessary but you may want to consider bringing a doctors note just to be on the safe side. If you have any prescribed liquids/medications over the allowed 3.4oz/100 ml limit (including water) you can still take these in hand luggage through security – just let the TSA agents know you need it for medical reasons & they’ll just run it through a few more security checks. We usually get a little extra sass from TSA but as soon as we explain why we have water/food they immediately (at least in our experience) understand. Always make sure to check, double check, and then triple check that snacks you buy at the airport are in fact gluten free. Last year I bought a bag of trail mix for Mike during a short layover. I checked the bag and it literally had “gluten free” listed in three different places on the bag. It was only after we boarded our plane did Mike notice the fine print on the back of the bag saying that it may not actually be suitable for celiac’s because it was processed in a facility that handles wheat. I was so annoyed. If you ordered a gluten free meal on the plain also double check that the food you are given is gluten free. There’s almost always at least one thing given to Mike in his gluten free meal that he can’t eat. Last year he was given crackers and a regular wheat roll with his meal and this year he was given a snack bar as a side that contained wheat in the ingredients. So…yeah! 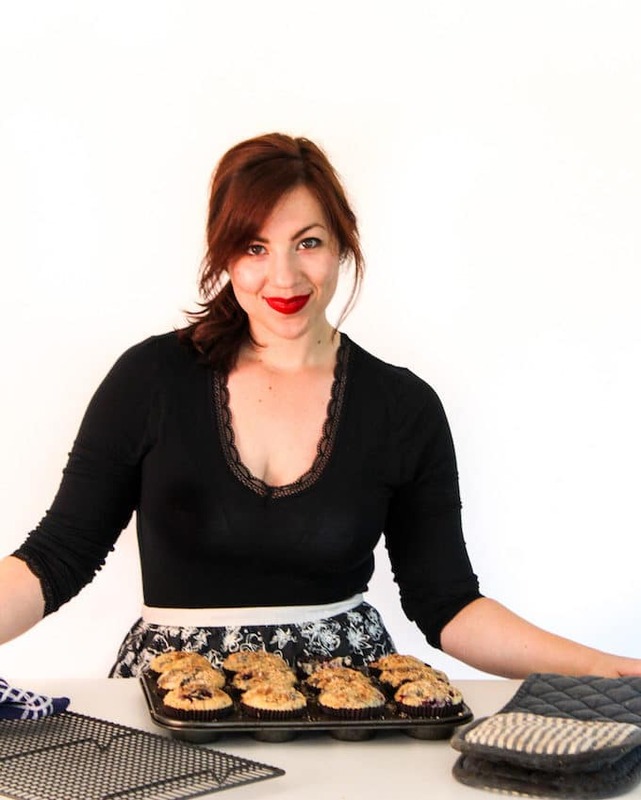 Lots to consider with travelling gluten free, but with a little prep it’s totally doable. Do you have any tips to keep you sane when travelling? You have plane spelled “plain” in several places. Whoops! Well that’s embarrassing! Thanks Lesa! 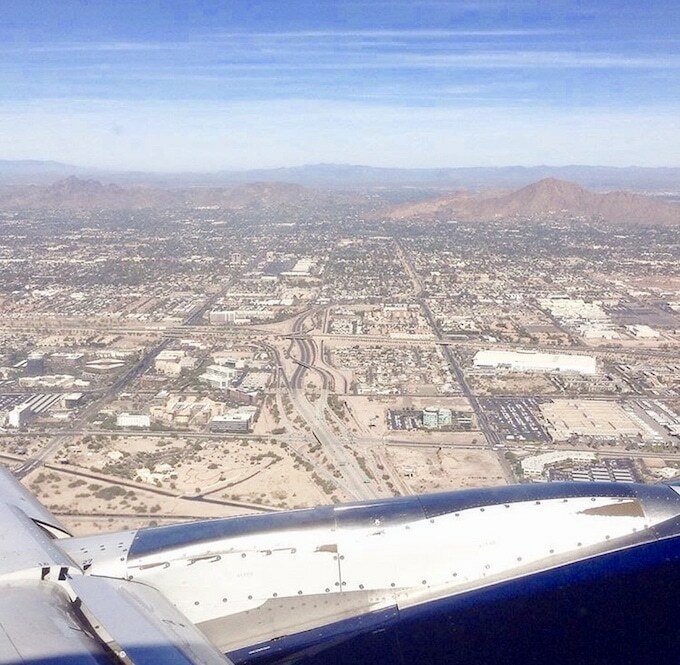 On long/international flights, I bring a little dehydrated meal (current favorites come from Paleo Meals to Go by Wild Zora) and ask the flight attendant for a cup of hot water so I can reconstitute it. My brother is a flight attendant and he recommended that course of action for me since the meal situation can be iffy even if you order in advance like you described. Also less issues with TSA since it’s dry as you’re going through security, and they don’t weigh much! That’s such a good idea for people to try! We’ve actually brought little instant noodle type things before and the flight attendants are always so kind about filling them up for us. I’ll have to keep an eye out for more dehydrated meals like that! Once I ordered GF (I’m not celiac) on a long-haul flight and was given rice cakes and black bean salad for both dinner and breakfast. My companion got eggs, fruit and yogurt for breakfast…I was so envious, said I’d never do that again, I’d just avoid the bad stuff. I have two international flights coming up and I’m really conflicted. It shouldn’t be this hard. I’m so with you on that – it really should’t be this hard! At this point I’ve kind of just given up one the meals they provide because they’re either not very good or they end up serving things with wheat in them anyways. If there is anything edible it’s a bonus. If you can I’d recommend packing a few sandwiches. They usually last pretty well and I’ve never had any issues bringing them past security. Good luck on your upcoming journey! I hope it’s a speedy one! Wow! I can’t imagine how difficult it must be to be super organized in order to travel gluten free and I applaud you for that.